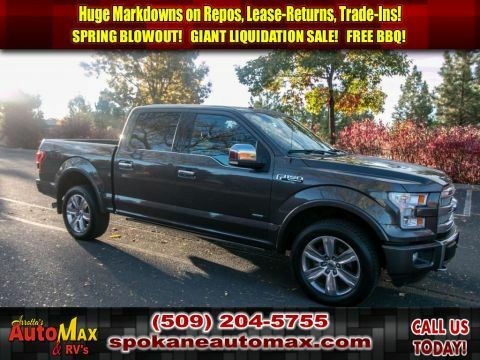 This 2013 FORD F-150 XLT 3.5L V6 4X4 ECOBOOST TRUCK is as tough as they come. If you are looking for a tough long lasting vehicle, this it is a great option for you. 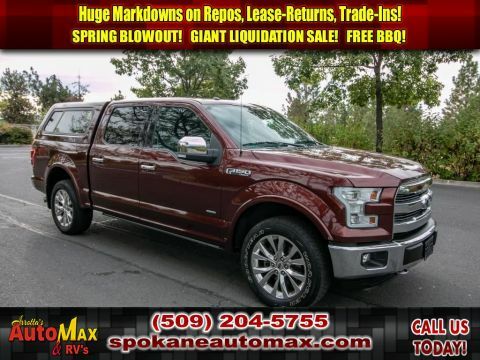 This Ford F-150 will have plenty of room to safely transport your kids to the next ballgame or family outing. The speed and passing capabilities of the vehicle will impress. This 1/2 ton pickup sips fuel. This vehicle will stick to the ground on the sharpest of turns. With exceptional handling, you will enjoy every curve of your favorite roads. The F-150 has quick acceleration. Has plenty of room for the whole family! That makes this vehicle perfect for the long summer road trips. With these performance numbers, you won't be disappointed when you take it for a test drive. This 1/2 ton pickup is fun to drive! With having reputation for being one of the most dependable vehicles on the road, this unit won't let you down. When it comes to any auto purchase, there is nothing more important than safety. 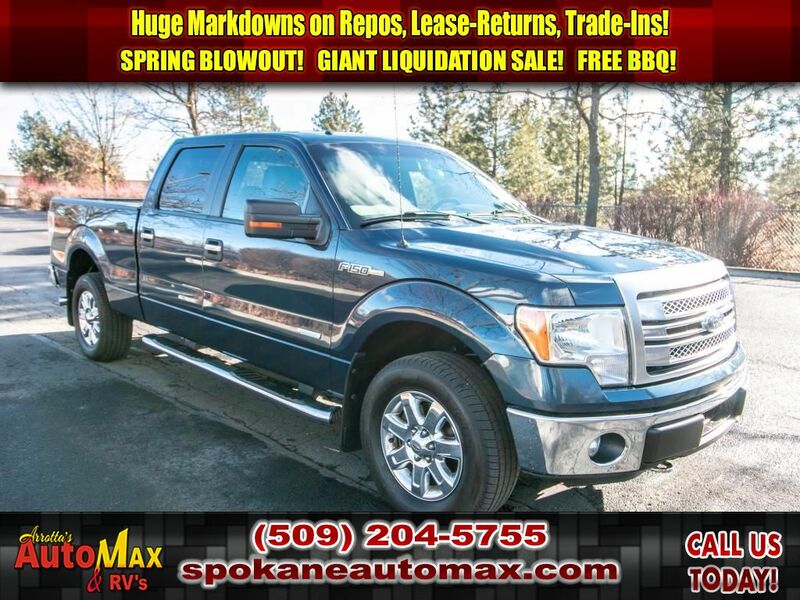 this 2013 Ford F-150 will protect you and your passengers with innovative safety features. The vehicle is an all-around vehicle, well equipped for anything. Whether it is work or play this is a very functional vehicle that will meet all your requirements. This vehicle is designed to handle any icy road condition that Mother Nature can throw at you. Your passengers will feel safe with stable braking and handling on all road conditions. This 1/2 ton pickup has a 3.5 liter V6 Cylinder Engine high output engine. 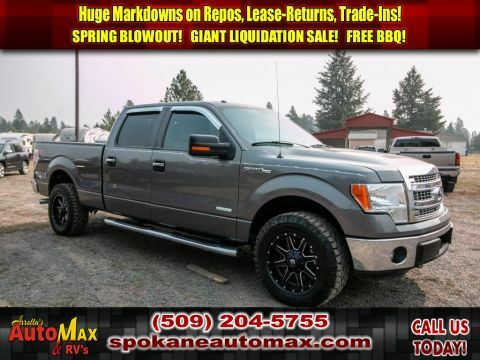 When you encounter slick or muddy roads, you can engage the four wheel drive on this 2013 Ford F-150 and drive with confidence. Impresses the most discerning driver with the deep polished blue exterior on this vehicle. Anti-lock brakes will help you stop in an emergency. Icebox AC keeps this unit cool all summer long. Lightweight alloy wheels on this 1/2 ton pickup are the perfect compliment to a stylish body. This 2013 Ford F-150 has an aux input for mp3 players. See what's behind you with the backup camera on it. The bed looks great and is protected with a durable surface material. Easily set your speed in this 1/2 ton pickup with a state of the art cruise control system. Increase or decrease velocity with the touch of a button. The Electronic Stability Control will keep you on your intended path. This unit has fog lights for all weather conditions. This unit has front airbags that will protect you and your passenger in the event of an accident. A full-size spare is included. Bluetooth technology is built into this 1/2 ton pickup, keeping your hands on the steering wheel and your focus on the road. Quickly unlock it with keyless entry. A front power adjustable seat increases driver comfort. This model has convenient power windows. The rear parking assist technology on this unit will put you at ease when reversing. The system alerts you as you get closer to an obstruction. The vehicle comes with running boards already installed. The satellite radio system in the F-150 gives you access to hundreds of nationwide radio stations with a clear digital signal. This 1/2 ton pickup features a tilt steering wheel. The F-150 features tinted windows. You will have no problem towing your boat or trailer to your next outing with it. The traction control system on this Ford F-150 instantly senses tire slippage and executes minute power adjustments to maintain traction at all speeds. This 1/2 ton pickup is a rare vehicle and is hard to find.